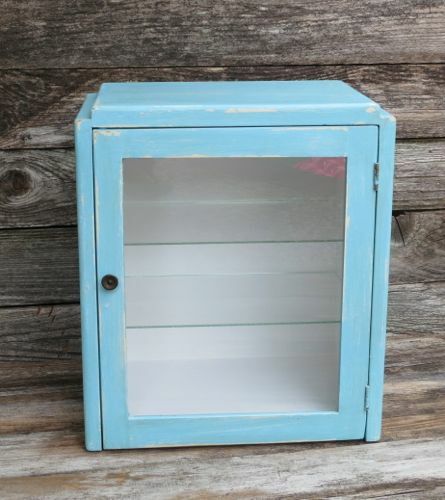 Vintage apothecary medicine cabinet. Wood with glass shelves and glass front door. Would guess it was a medical or dental cabinet of some sort. Perfect for pretty display/storage. There are 2 glass shelves which slide in and out and can be removed if wish to display something larger. Holes could be drilled out in the back if you wish to hang this otherwise great as a counter top piece. 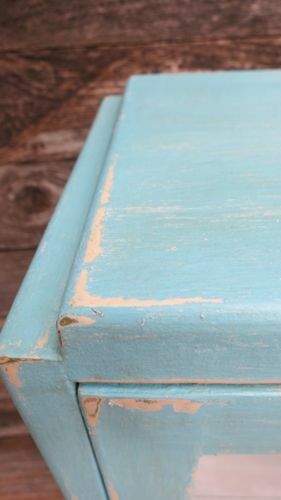 Vibrant turquoise painted finish that is distressed with white peaking through. In great overall condition, with rustic finish.. 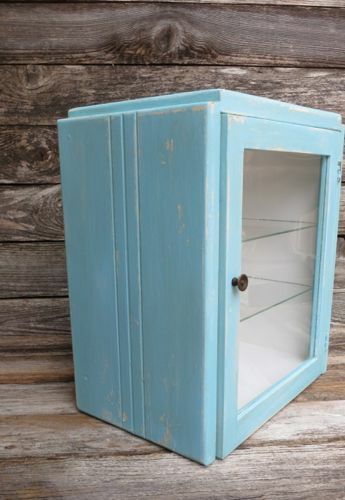 This sweet cabinet could work in any room! Measures: 14" tall by 12-1/2" wide and 8" deep.